Successful people are risk takers, but they’re also able to set aside their fears in order to accomplish their dreams. They’re able to look at their fear through rational eyes. Successful people are not fearless – they have trained themselves to take action – despite their fear. 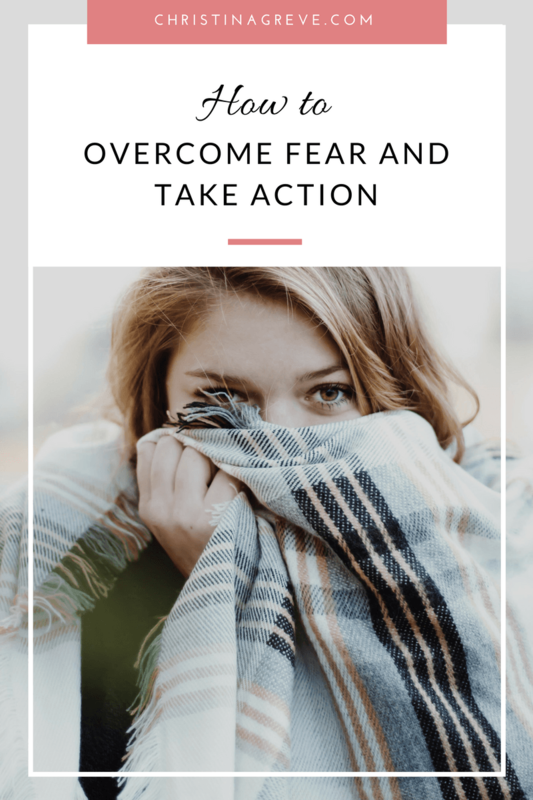 Stop judging yourself for having fear – it´s normal! What kind of fear stops you from reaching for your goals? Let me guess…. Fear of not being good enough? Fear of people discovering that you are not perfect, clever, funny…ect..? How about fear of success? It also means that, these fears will be a part of your life always – they will live inside you and follow you like a shadow. BUT….here comes the good news….inside you, you also have the strenght and the power to take actions towards your goals – no matter what you fear. Many years ago I live three years in Oslo, Norway. The winter was hard – snow all over the place. I had never seen so much snow in my life! I was so afraid to drive in the snow and the first winter I did not go anywhere! I was isolated and lonely. I was not afraid of the snow, I was afraid of looking stupid and weak; “what if the car got stuck in the snow and I had to ask someone for help” or “What if something went wrong and I could´t fix it?” I was afraid, so I stayed home the whole winter!! The following winter I decided to deal with my fear – I could not imagine another winter sitting at home alone (I did not have a computer or back then…this was 1995). I decided to dance with my fear – and stop avoiding it. My plan was to face my fear for just 10 minutes a day. Baby steps was the way. I went out driving everyday in the snow, and ofcourse everything I feared happened, over and over again. But I quickly discovered that I was able to deal with it – I could fix it – I was stronger than I had given myself credit for. And some days everything was fine and I drove more than 10 minutes and kind of forgot I was afraid! That winter changed my life forever – I learned how to deal with fear. Acknowledge that fear is normal – it does not make you any less wonderful as a person. Remember that fear and worries will live in your mind and your system, but that you can act anyway. YOU are the boos over your fear. YOU decide to take action despite your fear. Don’t let your fear stop you from succeeding! Feel the fear and do it anyway – just start with baby steps and you´ll be fine. The more steps you take, the smaller the feeling of fear will be. Stop waiting for fear to go away by itselves – embrace it and dance with it. When I teach photography I also teach life coaching skills – because my passion is to see my students succeed, grow and blossom. And sometimes we need inspiration + new life-skills do do just that; succeed. What would you do if you where not afraid at all? What do you need to stop being afraid of to reach your goal/dream? What fear will you challenge today for just 10 minutes? It´s just spot on right – especially for creative entrepreneurs or any other artist trying to make a living of their craft! We need to create and be creative thinkers – that´s what our business is all about, right! And if we wish to build a successful business we need the discipline to stay on track, get things done, brand ourself, sell ourself, get the work done – even the parts of business which are not so creative and fun. Like doing taxes, paying the bills, clean the studio, meet deadlines, make sure gear is working ect. And we need to master the perhaps most difficult skills of all; the self-discipline to keep the balance between work and life. Most of all, we need to be brave! We need to fine-tune our personal power and become daring enough to dare! I have this image in my head of a traffic light. I see the colors red, green and yellow for my inner eye. I know if I stay in the green zone, I´m safe… that´s my comfort zone..it´s nice and comfy, but there is no personal development and properly no development in my business either. Then there is the yellow zone, this is where my pulse starts to beat a little bit faster… I´m about to do something that´s a little bit scary, like posting something on my blog and await peoples reaction, or taking on a new challenging photo assignment, or writing an article for a magazine ect. It get´s my pulse up, but I know I´ll be okay, that I have the resources to tackle the task regardless of what happens. Then there is the red freaking scary zone! Oh dear…this is were I take a BIG chance or a big step like moving abroad or starting a new business or speaking on a stage. All which I have done more than once in my life – but it´s always scary. Looking back some of my most scary decisions has turned out to be some of my best decisions ever – life-changing in the most wonderful ways. I practice to be daring, because I know that stepping into the yellow zone or the red zone for just a little while everyday bring me adventures, bring me new friendships, bring me wonderful opportunities and helps me build a strong business. I mean how can I not be daring, when I know what it can bring me? I feel if I stay in my green zone I´m not living life to the fullest… I have only this one life…I wanna give it all I got! Therefore I choose to dare my self, to do things I want, to take steps towards my dreams – even though I´m afraid of not being good enough, not being clever enough, not being creative enough, not being beautiful enough…and the list goes on… I dare myself to prove me wrong! My husband climbs some of the worlds largest mountains. It´s an extreme and dangerous hobby – one that I struggle to understand. He has told me, that he is scared and often regrets his doing when he find himself hanging on a cliff somewhere on a very cold mountain top. He is often sick because of the lack of oxygen, exhausted like crazy, cold, hungry…and has difficulty thinking straight. But something keeps him going…he want´s so, so bad to make it to the top, not only to see the beautiful view, but to find out if he can make it! You´ll never see me climb any mountains…lol..I´m to much of a “stay at home diva” for that…smile….but I´m climbing my own “little mountains” at home, running my business, living my life. I too wish to be able to say; “I did it”, or “I tried and I did my best”. Everyone has different limits and are afraid of different things – no need to climb Mount Everest to prove that you are brave! But be aware of what lies within your yellow zone or your red zone and challenge yourself to step into it for just 5-15 minutes a day. You´ll be sure to grow and be a happier person.